ProMax Lipo is a brand new multi-functional device that has been uniquely designed to offer the three most popular body treatments. ProMax Lipo uses three technologies to target inch loss, cellulite reduction and skin tightening. Ultrasound Cavitation is a process where sound waves affect the permeability of fat cells, allowing fat to escape and to be metabolised by the body. This gives immediate inch loss, as well as long-term reduction in the very stubborn areas of fat that are typically resistant to exercise, such as the abdomen or outer thigh. What happens during my ProMax Lipo treatment? Safe and effective Radiofrequency energy is applied to the skin, causing gentle heating. To treat cellulite, the deepest layers of the skin are heated to a temperature which increases local blood circulation. Vacuum Massage then encourages drainage of fatty deposits into the lymphatic system, promotes breakdown of fibrous tissue and leads to a reduction in the volume of fat cells. During skin tightening procedures, the heating action accelerates collagen production and leads to a contraction of collagen fibres and a restructuring and tightening of the skin. 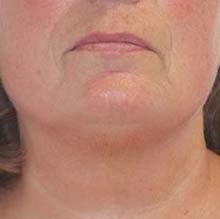 Particularly good results are seen on post pregnancy ‘lax’ skin and facial skin tightening. What should I expect after my ProMax Lipo treatment? The treatment area may be pink for a short time after your treatment, but this will subside quickly. You can return to normal activities immediately. As a result of some of the triglycerides being metabolised by passing into the urinary system, it is also quite normal to experience an increased need to go to the toilet. It’s recommended that patients drink increased quantities of water for a short time after treatment to encourage and enhance the fat cell removal process. Immediately after treatment, contraction of collagen fibres improves skin elasticity and the skin should appear firmer. How many ProMax Lipo treatments are necessary? 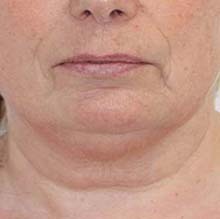 A course of 6 – 8 sessions is usually recommended for facial skin tightening, and a series of 8 – 10 treatments for the reduction of cellulite or slimming.